Today's tequila market is more complex than it ever has been, with many brands of tequila to choose from and, just like any liquor, tequila brands are diverse. Some are decent, others are very impressive and each is unique in its own way. When you're navigating all the tequilas available, you'll find that there is a great range in prices. Some good tequilas can be found for $20 while others cost $50, or even a luxurious $100. It's also common to find a blanco, reposado, and añejo tequila from each brand. The brands listed are only a representation of the tequila market. As you will see, the prices can vary greatly. A general rule is that the higher the price, the higher the quality. This theory can be disputed and price should not be your only guide, though. If you like it or a bottle intrigues you, buy it! With this many options, there's no reason not to explore as many tequilas as you can. You have a lot of choices to make and which you choose is going to depend a lot on both cost and personal taste. Silver tequilas (also known as blanco or plata) are among the best known and most widely available. Where gold tequila was the standard a few decades ago, these 100% agave, crystal clear tequilas are the standard pours today. 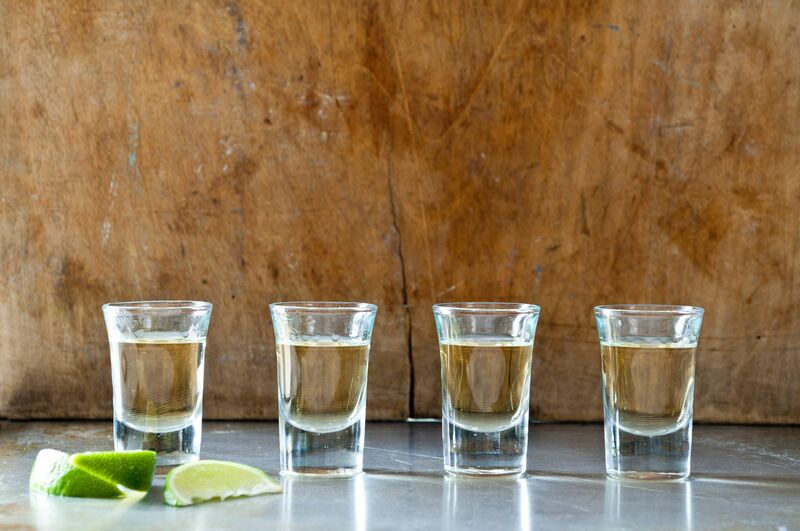 Quite often, any of the silver tequilas are your best choice for tequila shots, margaritas or any cocktail that calls for tequila in the recipe. The often clean, crisp taste of the agave plant found in silver tequila pairs well with any flavor. They are unaged tequilas and among the most affordable, so they're a good choice to regularly stock in your bar. When it comes to an affordable tequila, you'll find many good options within the class of silver tequilas. Labels such as Jose Cuervo Silver and Sauza Silver are the best known in this category and are often found in a bar's well. Other brands to look for include El Jimador Blanco, Juarez Silver, Margaritaville Silver, Puerto Vallarta Blanco, and Tarantula Plata. These may not be the best tequilas, but they're about as cheap as you can get and good for mixed drinks. If you can spend just a little bit more money, you will find some really good silver tequilas. This is the average price for a decent silver tequila and where you will find the most versatile and tasty labels. These tequilas are perfect for mixing up a really good margarita. Among the top picks in this range are Cazadores Blanco, Corazon Blanco, and Herradura Blanco. Others you will want to taste are Milagro Silver, Sauza Tres Generaciones Plata, and Siembra Azul Blanco. When you're in the mood to explore even more silver tequilas, pick up a bottle of 1800 Select Silver, 1921 Tequila Blanco, Corralejo Blanco, Dos Manos Blanco, or Hornitos Plata. When you have a little more money to spend, you can find really impressive silver tequilas that are still under $50 a bottle. Among the top recommendations here are Casamigos Blanco, Don Eduardo Silver, Don Julio Blanco, Dos Lunas Silver, and Gran Centenario Plata. Two very impressive silvers are Tezon Blanco and Trago Silver, so if you spot these, be sure to give them a try. Cabo Wabo Blanco and Patron Silver are two very popular brands that are easy to find. They are also often on sale so you can save a little cash. It's not necessarily that these are the best silver tequilas you can find, but their price does tend to reflect the quality. If you have some extra cash on hand or are looking for tequila to celebrate a special occasion or that makes an impressive gift, seek out one of these. Do be warned, the sky's the limit on any luxury tequila. Some can be hundreds of ​dollars and the price increases with rarity. Are they worth it? That depends on your personal budget and taste. Reposado (meaning "rested") tequilas are aged for a short period of time. They typically spend between two and 9 months in the barrels, which gives them a slight oak flavor and golden color. In general, you will be paying more for a reposado than you will a silver tequila. If a brand offers the full range of tequila, you can often expect to pay $10 more when you upgrade to the reposado and another $10 for their añejo. Reposados are right in the middle of the three main classes of tequila. The aging makes them perfect for sipping straight, they make a smoother tequila shot, and they are a nice upgrade for any of your favorite tequila cocktails. It's a little hint of luxury without breaking the bank. It can be difficult to find a reposado tequila for less than $20, so you can expect the base of this style to be in the $20 to $30 range. If you find one for less than that, you might not get the quality of tequila you expect. There are many nice reposados available at this affordable price. Some good recommendations include 1800 Reposado, Calende Reposado, Dos Manos Reposado, and either Sauza's Hacienda Reposado or 100 Años Reposado. You can certainly find some really nice reposados for $30 to $40. This is a good benchmark for the style and would be a nice introduction for anyone who has not tasted an aged tequila. Within this range, try El Tesoro Reposado, Herradura Reposado, or Siembra Azul Reposado. Other labels to look for include Jose Cuervo Reposado, Oro Azul Reposado, Mapilli Reposado, and Tequila el Mayor Reposado. With a little more of an investment, you can find some of the most popular reposado tequilas. This includes big names like Cabo Wabo Reposado, Don Julio Reposado, and Patron Reposado, which can also be found on sale in some liquor stores. Among the other reposados to look out for are 7 Leguas Reposado, Casa Noble Reposado, Casamigos Reposado, Dos Lunas Reposado, Trago Reposado, and Voodoo Tiki Reposado. They may not be as well-known as the others, but they are just as impressive and you might enjoy them more. If you're looking for a high-end reposado, Tezon Reposado and Clase Azul Reposado are two to seek out. You might also enjoy Dona Carlota Reposado and Penca Azul Reposado. For a really interesting find, look for Tequila Ocho Single Estate Reposado. This tequila uses agave plants from a single estate and each bottling is different from the last. It's fun to compare one to another and discover how growing conditions and the "terroir" typically associated with wine affects the final product. Aged for a year or longer, añejo tequilas are the oldest you will find. There is a distinction between añejo and extra añejo, though. Añejo tequila is aged between one and four years while extra añejo will have spent over four years in the barrel. With each extra year, the tequila's taste mellows, it picks up more oak notes and often has a price to reflect the additional time. It's also interesting to note that many aged tequilas—both reposado and añejo—find their way into former bourbon barrels. It's a fantastic collaboration between the two distilled spirits because the American whiskey can only be aged in new barrels. When the bourbon's done, Mexico's tequila producers often pick up the barrels, so you do get a bit of whiskey flavor in your tequila as well. Once again, the bottom of the price range for añejo tequilas will not always produce the best results. However, there are a few affordable brands that can at least give you a taste of what to expect from this type of tequila. Among the recommended bottles are Amate Anejo, Don Agustin Añejo, and Jose Cuervo Black Medallion. You might also pick up a relatively inexpensive bottle of 1800 Añejo, Puerto Vallarta Añejo, or Sauza Conmemorativo Añejo. Any of these would be worthy of mixing into cocktails to give you a hint of extra wood flavor. Keeping a bottle of tequila under $50 is really nice because this is often the point where the average drinker draws the line for stocking their bar. A few añejos to look for in this range include Casamigos Añejo, Sauza Tres Generaciones Añejo, and Siembra Azul Añejo. Maestro Dobel Diamond is a deceptive tequila. It appears to be a silver because it is crystal clear, but it is truly an añejo. It has all the taste of an añejo, but a special filtering process removes the typical amber coloring. It's fascinating and quite impressive. Once you hit $60 in the añejo market, you'll find many of the best-known tequila brands, so this is what might be considered the "average" price for an añejo. Among the notables you won't have any troubles finding are Cabo Wabo Añejo, Don Julio Añejo, Don Eduardo Añejo, and Patron Añejo. Many of the favorite brands also appear here, though the añejo can be a bit harder to find than the other styles, depending on where you shop. Dos Lunas Añejo, Tezon Añejo, and Trago Añejo top the list for these recommendations. Chinaco Añejo and Mi Tierra Añejo are two others you'll want to try if given the chance. Añejo and extra añejo tequilas can bring hundreds of dollars or sell for just around $90. They tend to be really nice and among the smoothest of all tequilas. Reserve these lovely liquors for sipping straight, just as you would a fine scotch, and savor every moment. Before the tequila renaissance in the early 2000s, you would generally expect to find only gold tequilas in bars and liquor stores. This is the style that turned so many drinkers off tequila because, admittedly, they leave a bit to be desired and can lead to a nasty hangover if you overindulge on shots. Gold (or joven) tequilas are mixtos, meaning they're a blend of tequilas. It's also common for them to include caramel flavoring and coloring; that gold color is typically not from aging (some are, however). These are not the 100% blue Weber agave that has become the benchmark for tequila today; some may be a blend of silver and reposado tequilas. Yet, they are still produced and many people continue to enjoy them because they do have a more complex, often sweeter flavor profile. Many people can blame Jose Cuervo Especial Gold for that bad tequila experience when they were younger. Back in the day, it was everywhere and almost synonymous with tequila. It, along with Sauza Extra Gold, are among the best-known of the least expensive tequilas on the market. Not all gold tequilas are cheap or taste like it. For an extra $10 or $20, you can find some great surprises. Among those are Zafarrancho Gold and Los Azulejos Gold. Another brilliant bottle to try is Casa Noble Joven ($55). It is rested for just six weeks in French oak barrels to get a light gold color, then bottled at a hefty 102 proof (51 percent ABV). It proves that whenever you doubt the possibilities of a gold tequila, do some research or, in the least, read the label. If you don't see "caramel," it's worth tasting. Why is 1800 Tequila Great for Mixing Tequila Cocktails?